> Are we for you? 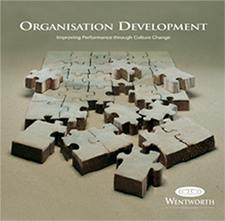 It is designed to help people increase their effectiveness by exploring their skills and awareness in leadership, management, team-working and everyday working relationships. 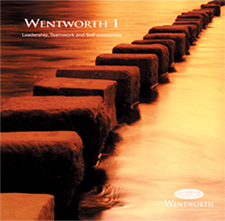 Wentworth 1 is also run in-house – for large organisations who have lots of people they want to put through the course. Get to know and understand themselves and the impact of their behaviour on others. Understand what makes a team effective or ineffective. Develop skills which will improve their performance. More aware of their strengths, weaknesses and potential. More sensitive to other people’s needs and motivations. More confident and in control of their lives. More willing and better able to develop other people. How to build effective teams. When to tell and when to consult. How to gain genuine commitment. How to build relationships of trust and respect. How to lead using their own style. How to run effective, enjoyable meetings. As part of a company management development plan. 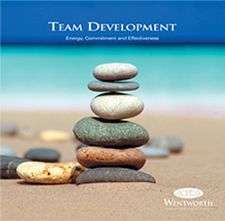 To meet a specific individual training or development need. Because they are seen as having significant potential and “headroom” in the organisation. 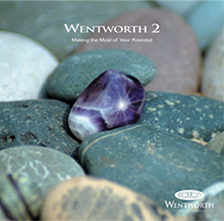 To find out more about how we work and see if we are as good as we say we are. The course begins on Sunday afternoon and ends at 1.00pm on Friday. The hours are long with evening work on most days, but we normally have Wednesday afternoon free for reflection and recreation. The duration and the intensity are a key part of why the course has the impact it does. We limit the number of participants to 12, and we have 2 trainers actively involved throughout. This creates an intimate environment which helps people get the most from the course. We ban people from talking about their jobs and organisations, until the end of the course. We work with the heart as well as the head. We get people working for 12 hours a day and enjoying it. We have a highly flexible approach – using a core framework and varying the specific content to meet group and individual needs. The current price for the course is £2995 (course fee) + £780 (accommodation) plus VAT. For more detailed information on “Why 5 days?” or “Why 2 trainers?” or any other questions, contact us.